Element is a turn based game wich puts the player against an AI. 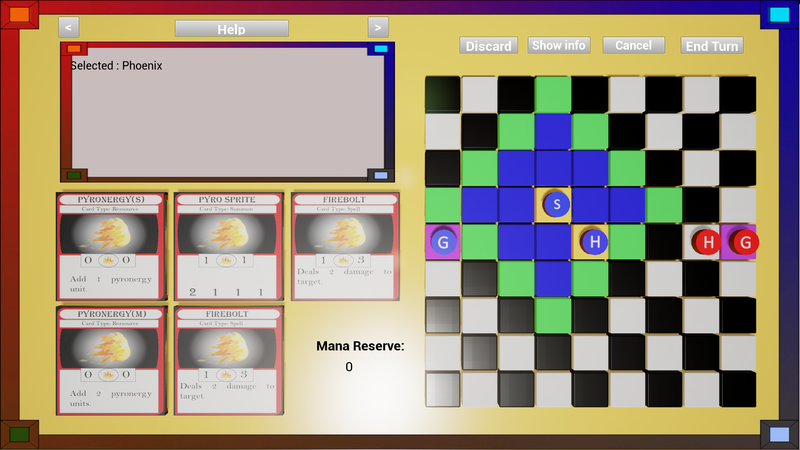 You play cards to invoke spells and creatures on a grid board to try to conquer your opponent main square. It is not completed as the AI is not combative. I would also like to add the possibility to play againt another human. 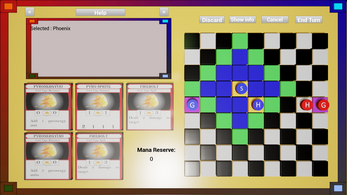 Current status : Core game is complete, some features are missing, some content is missing (more cards to play).